Yon : the flowing and purifying waters of a river, which name sounds like "ion": the particle of energy it refers to. Yon and Ka unite what seems contradictory : knowledge and mystery, science and nature, movement and rest, light and shadow. Together they bring the brand to life and become the epitome of never ending regeneration, newfound harmony and a new spirit of wholeness of the body and mind. Is Yon-Ka a french brand ? Our name is indeed quite peculiar - refer to our name origins (lien)- yet the brand is 100% french and family owned. The products are formulated, manufactured, controled and distributed by the MULTALER laboratories, located nearby Paris in Argenteuil. What is "Quintessence" Yon-Ka ? 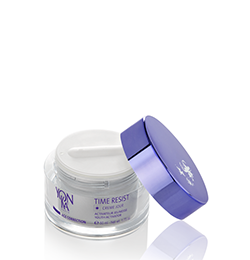 They act in synergy and are always predosed to ensure optimum safety and bring the skin their benefits. They are part of all the Yon-Ka phyto-aromatic treatments you can enjoy in the Yon-Ka salons and spas. They complement the efficacy of the actives they are associated with and bring sensoriality to the experience which can be relaxing or invigorating according to the needs. What is the meaning of" phyto-aromatic" treatment ? The first part of this compound word is "phyto"which means :plant, the second is "aromatic" which refers to the aromas, that are the volatile part of the plants, its essential oil. gemmotherapy which is based on tree and shrub buds. The buds hold the embryonic tissues of the future plant and embody its vitality. 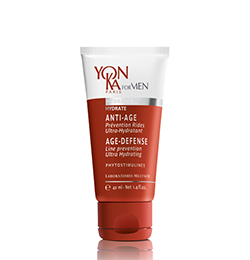 Since its creation, in 1954, Yon-Ka, has been a pionnier in the use of the vegetal riches to give back the skin the means to regain its balance and beauty, while providing genuine well-being. 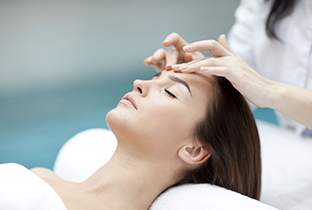 What is so special about the Yon-Ka treatments ? 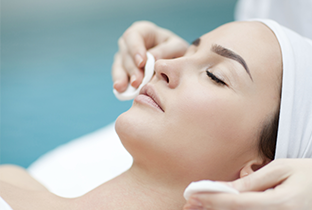 Our treatments are holistic and tailor-made, for Face and Body, and performed by skilled authorizaed estheticians trained on our products and protocoles. The treatments are precisely designed with exclusive techniques and rely on an expert know-how and professional expertise. Where do the plants you use in your products come from ? They come from all over the world : France (lavender, cypress, brown algaes), Italy (citrus), Spain (cistus, thyme), Greece (mastic tree), Switzerland (saponaria pumila), North Africa (rosemary), Western Africa (baobab, sesame, shea butter), Brazil (guarana), Mexico (aloe vera), Peru (sacha inchi, mirabilis), Asia (Silk tree, ginseng, camelia), Australia (imperata cylindrica), Island of Reunion (pink pepper)... it is more that 130 plants. 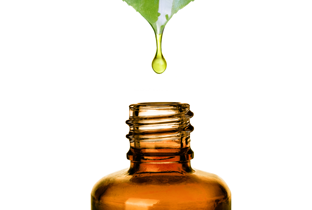 Are the plants and plant extracts you use organic ? 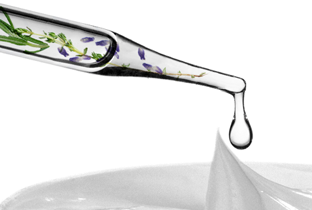 We favour organic plants extracts, but organic extracts may not always be available. Our analytical controls allow us to select extracts with active molecules calibered for they qualities and quantities (titrated extracts), so we can guaranty a constant efficacy over time . How can you guarantee that the plants you use are GMO free ? Our approved suppliers must provide us with certificates testifying that their raw material are GMO free. Are all your products manufactured in France ? You are perceived as a natural brand; how natural are your products ? 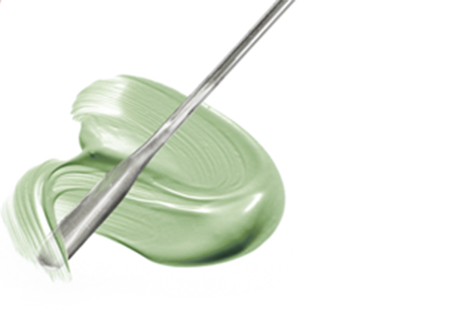 Since our creation in 1954, we endeavour to keep our formulas as natural as we can, however, sometimes the developping of a product may require the use of synthetic ingredients. Indeed ,at times, some natural actives do not provide a good level of efficacy or may turn out to be irritating when used at the proper concentration required. Our commitment is to choose the most natural and best-tolerated ingredients, while preserving the environment in a sustainable approach, and to provide visible results and true well-being. Are your products organic ? 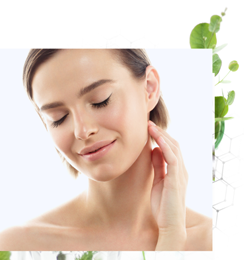 Our products are formulated to bring a maximum of natural ingredients, preferebly organic, but the actives are not all available with organic certifications. Why don't your products wear any labels ? For more than 60 years, and all over the world, Yon-Ka is recognized as a natural brand, geared by quality, efficacy and naturalness. Among the large amount of existing labels, the criterias defining naturalness or organic sources may vary, which makes it difficult for the consumer to get a clear understanding. In addition, the new ISO 16128 international rule is still open to questioning by actors in the organic front ... as a result, Yon-Ka chooses for the time being to remain true to its commitment to naturalness. Are your products vegan ? True to our values and principles, and abiding to European laws and the laws of the countries we export to, we do not conduct nor support animal testing. It is important to know that since September 11th of 2004, animal testing is banned in the EU (European Community) on all finished cosmetics products, meaning all products proposed to the consumers. Our products are tested following alternative methods on healthy volunteers, under dermatological and/or opthalmological control. Are your products gluten-free ? Whenever possible we avoid the use of preservatives. When a preservative is deemed necessary for the safety of the consumer, Yon-Ka favours the most efficient and best tolarated option. Parabens have been banned from all our formulas and our products are paraben free. We decided many years ago to ban this very allergenic preservative from our formulas. 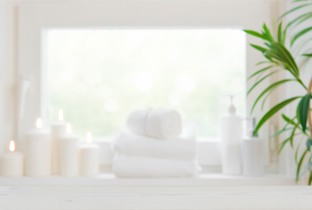 Do you use phenoxyethanol in your products ? This very efficient preservative is authorised by international regulating authorities up to a 1% concentration. It is considered to be non CRM*. Some of our Yon-Ka products can present it, at levels inferior to 0,5%. It is then noted on the boxes and on the product sheets of our web site. Even though it belongs in the glycol ether category, when used in the authorised limits, it is considered safe for human health by the international scientific autorities. Do your products contain silicone ? They may be found in a few products yet with only minimal percentage and under 1%. Their purpose is to improve product texture by bringing smoothness and softness. Used within those limits they are not comedogenic and do not jeopardize skin breathing. We have selected them for their good biodegradability. Do you use sodium lauryl-sulfate or sodium laureth sulfate in your products ? We have chosen to avoid these surfactant that are considered to be very irritating. Are allergens found in your products ? 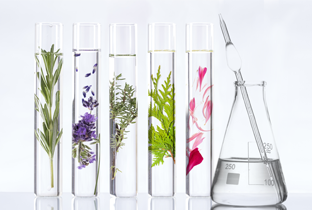 The European authorities require that cosmetic manufacturers list 26 natural or synthetic molecules considered to be common allergens, when they are found at levels superior to 0,01 % in products to be rinsed off and superior to 0,001 % in products that are no-rinse. These molecules are found in essential oils and perfumes. Some of these allergens will then be found on the boxes and the list of ingredients. Can I use your products if I am allergic ? Let us know what esences, subtances you are allergic to. We will then check the products that may contain it and will give you that list of products to avoid. What is the meaning of the open jar picture, followed by a number and a letter, that appears on the pack ? This sign refers to the maximum length of use after opening. E.g. : 6M = use before 6 months after opening to ensure optimum performance of the product, where the letter "M" stands for "Month". This labelling requirement applies for all products with a lifespan greater than or equal to 30 months. One-time use products or aerosols are exempted from this obligation. Where do I find the expiry date of my product ? You can find the information on the tubes, bottles, jars and boxes, as follows : "à utiliser de préférence avant"/"best used before" followed by 2 numbers for the month and 2 numbers for the year. Ex. : 04/20 means april 2020. Are your laboratories in the capacity to ensure the traceability of the products you manufacture and sell ? All our products are manufactured in France. We ensure traceability from the raw material until the delivered final product. How do you choose your raw materials and what kind of quality can you guarantee to the consumers ? We only use carefully selected, analysed and controlled raw material. This selection and controls are done by our own Laboratories to ensure optimum safety. 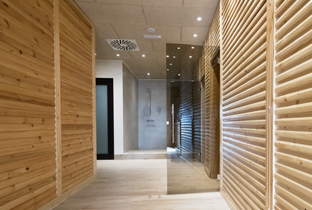 We perform ourselves in our premises the chemical and bacteriological controls. We manufacture under filtered air and in accordance with the BPF* ISO 22716 rules; our manufacturing material is exclusively made of inox. The allegations referring to the product efficacy result from functional tests performed by independant laboratories and under medical control. What kind of tests do you run to verify the efficacy of your products ? None of these tests are performed on animals. What are the causes you support ? Yon-Ka is committed to not use rare plants or that become endangered or might deprive local populations of food sources necessary to their well-being. Yon-Ka contributes in the funding of beehives implementations through "Un toit pour les Abeilles" (" Shelter for the Bees") in order to help fight against the alarming disappearance of pollinator insects. 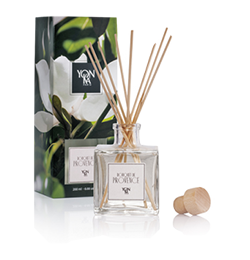 for its packaging, Yon-Ka uses carton-board from trees grown and handled in a sustainable manner by a Swedish firm that belongs in the top 100 most sustainably oriented companies in the world according to the rating of the United Nations Worldwide Pact. How about social commitment ? Yon-Ka favours suppliers committed to respect the Pact of protection of the traditional indigenous knowledge linked to biological and organic resources. 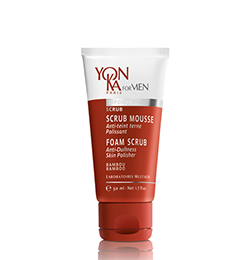 Yon-Ka, draws its inspiration in women's beauty and their needs. So it is quite natural for us to support the research to cure breast cancer, with the association "Le Cancer du sein, Parlons-en" (Breast Cancer : let's talk about it").